Featured Image: From the cover of Winston S. Churchill, volume V, The Prophet of Truth, 1922-1939, eBook edition. Illustration by Jirka Väätäinen. It matters because Churchill continues to offer guidance and example today. His indomitable courage, his ability to communicate, his knowledge of history, his political precepts, are as valuable now as they were in his time. Churchill himself said “nothing surpasses 1940.” We must look there for his greatest accomplishment. Without him the world today would be unrecognizable: dark, impoverished, tortured. Churchill didn’t win the Second World War. That took more than he alone could offer. His achievement was not losing it. 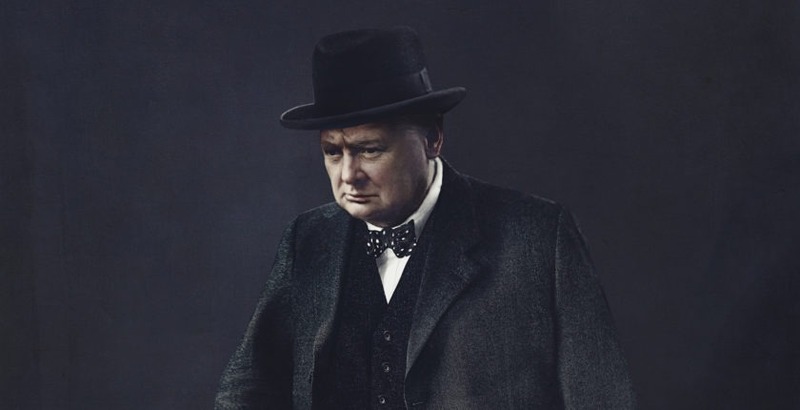 Churchill did that in two ways: pursuing the paramount goal to the exclusion of all others; and communicating that goal to a baffled and frightened world. The great movements that underlie history are science, industry, culture, social and political structures, wrote Charles Krauthammer: “Yet every once in a while, a single person arises without whom everything would be different. Totalitarianism turned out to be a cul-de-sac. It came and went. It has a beginning and an end, 1917 and 1991, a run of seventy-five years neatly nestled into the last century. Further reading: Winston Churchill’s War Leadership, by Martin Gilbert; Churchill and War, by Geoffrey Best. As early as 1908, Churchill’s ideas, speeches and legislative accomplishments produced pioneering reforms in the social structure. His aim was to reform what was bad and to preserve what was good, without disrupting the enterprise that produces the wherewithal to make life worth living. At the same time, Churchill foresaw the all-powerful administrative state. Many an advance in science, technology and communication, Churchill argued, “suppresses the individual achievement.” He deplored the rise of the collective at the expense of the individual: “Is not mankind already escaping from the control of individuals? Are not our affairs increasingly being settled by mass processes? Are not modern conditions—at any rate throughout the English-speaking communities—hostile to the development of outstanding personalities and to their influence upon events; and lastly if this be true, will it be for our greater good and glory?” Today such questions merit examination by thoughtful people. Further reading: Churchill’s Political Philosophy, by Martin Gilbert; Churchill’s Trial: Winston Churchill and the Challenge to Free Government, by Larry P. Arnn. Another quality worthy of reflection was Churchill’s magnanimity. He was not a hater. “I have always urged fighting wars and other contentions with might and main till overwhelming victory,” he said, “and then offering the hand of friendship to the vanquished.” He proved this repeatedly. Further reading: Churchill as Peacemaker, James W. Muller, ed. ; Great Contemporaries: Churchill Reflects on FDR, Hitler, Kipling, Chaplin, Balfour, and Other Giants of His Age, by Winston S. Churchill. We do tend to be discouraged about how things are going—although in our time, they haven’t gone all that badly. The fall of the Soviet Union, the prevalence of free market economics, were not things people would bet on forty years ago. Churchill saw them coming twenty years earlier than that. He was always the optimist. Humanity, he believed, was not going to destroy itself.